Born in San Francisco, Clint Eastwood worked as a logger and a gas station attendant, among other things, before coming to Hollywood in the mid-1950s. After his arrival, he played small roles in several Universal features. But he was soon dropped when some execs decided his Adam's apple was too big. He swallowed his pride and, over the next few years, he dug swimming pools between playing bit parts in movies and on TV. Upon his return to the U.S., Eastwood set up his own production company, Malpaso, which had a hit right out of the box with the revenge western Hang 'Em High (1967). He expanded his relatively limited acting range in a succession of roles—notably with the hit Dirty Harry (1971)—during the late 1960's and early 1970's, and directed several of his most popular movies, including 1971's Play Misty for Me (a forerunner to Fatal Attraction ), High Plains Drifter (1973) and The Outlaw Josie Wales (1976). Although Eastwood became known for his violent roles, the gentler side of his persona came through in pictures such as Bronco Billy (1980), a romantic comedy that he directed and starred in. As a filmmaker, Eastwood learned his lessons from the best of his previous directors, Don Siegel and Sergio Leone. 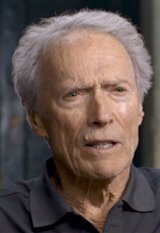 Their approaches perfectly suited Eastwood's restrained acting style, and he integrated their them into his filmmaking technique with startling results, culminating in 1993 with his "Best Director" Oscar for The Unforgiven (1992). The same year, Eastwood had another hit on his hands with In the Line of Fire . In 1997, he produced and directed the film adaptation of John Berendt's tale of Southern murder and mayhem, Midnight in the Garden of Good and Evil, and followed this as the director, producer, and star of 1997's Absolute Power and 1999's True Crime . When Eastwood directed the critical hit Mystic River (2003), he was awarded with a Golden Coach at the 2003 Cannes Film Festival. He also received nominations from the Golden Globes and the Academy awards for Best Director. At the 2005 Golden Globes, where Eastwood's 16-year-old daughter Kathryn from a relationship with Jacelyn Reeves, was Miss Golden Globe, Eastwood picked up his third Best Director Golden Globe for Million Dollar Baby (2004). He also received an Academy Award nod for Best Actor and took home Oscars for Best Director and Best Picture for Million Dollar Baby (2004). In 2006, he received a Lifetime Achievement Award from the Directors Guild of America. Gran Torino (2008), which he directed and starred in, won AFI Movie of the Year in 2008 as well as Best Foreign Film at France's César Awards. Although Eastwood had claimed that Gran Torino would be his last big screen appearance, he ended up making a return in 2012 to produce and star in Trouble with the Curve , a directorial debut for Robert Lorenz, who produced many of Eastwood's earlier films. After directing two movies based on real American heroes - American Sniper (2014) and Sully (2016), he took on another real-life story. The 2018 movie The 15:17 to Paris is based on the true story of three Americans who took down a terrorist on a train in Holland. Eastwood made the bold move of having the three men play themselves in the movie, despite their lack of acting experience.